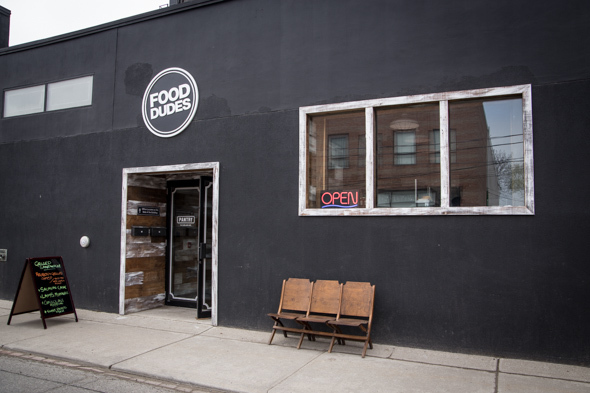 The Food Dudes Pantry fronts the 10,000-square-foot production kitchen that supports the thriving catering outfit and food truck of the same name. 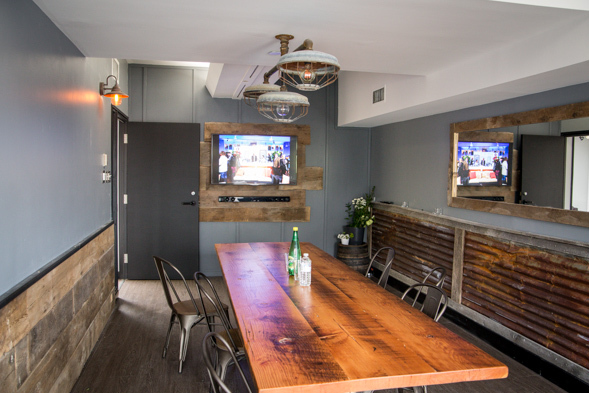 Aside from the retail outlet, the behind-the-scenes facilities just south of Leslieville include a commissary staffed by 30 or so chefs, storage for service ware, food truck parking and loading areas, administrative offices and a tasting room for catering clients. The takeout counter was created to serve the local crowd - who, as it turns out, are starving for some good eats in the neighbourhood. Waiting in line at the hot counter, one woman tells me she brought her lunch today, but she's here anyway - for the third time since they launched last week. 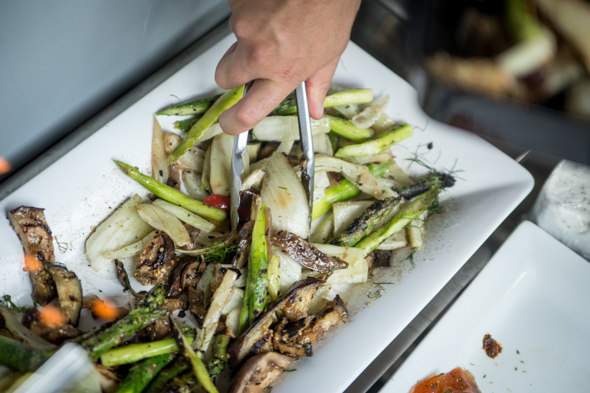 With a location not far from the highway, the kitchen hopes to attract cottagers fleeing the city too. Special requests can be ordered in advance, but you'll still be accomodated with no notice if you drop in to pick up dinner for up to eight people. The frequently-changing selection reflects the catering orders being produced in back. Thirty events each week means there's lots of product and inspiration to draw from. 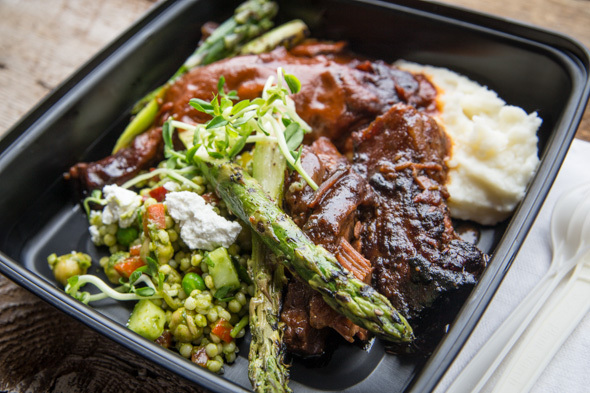 Staples on the menu include BBQ brisket, chicken (grilled of barbecued), smoked salmon, meatballs and varied daily specials. 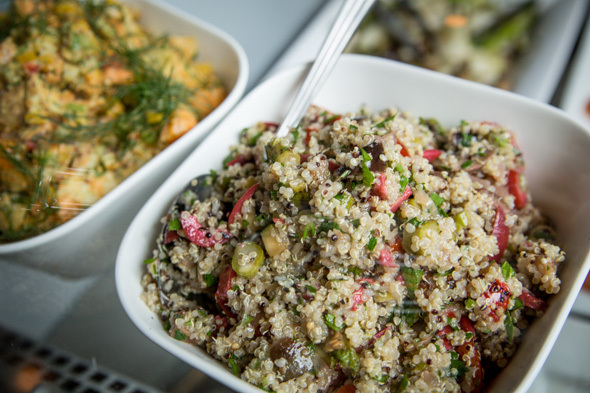 The selection of sides includes perogies, mashed potatoes, grilled veggies, and bright salads, like today's Israeli couscous and beet salad. Combos for one, featuring one protein and two sides, cost only $10 and can be scaled up to feed pairs for $18, families of up to six for $59 or up to eight for $89. 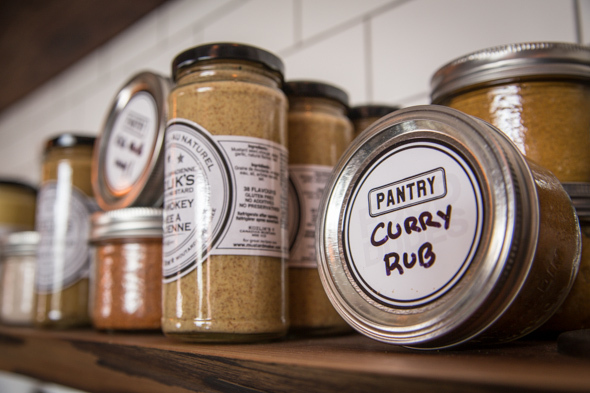 Aside from prepared hot foods there's signature spice rubs, seasonings and sauces lining the walls while a cooler stocks sodas and leafy salads for grab and go. 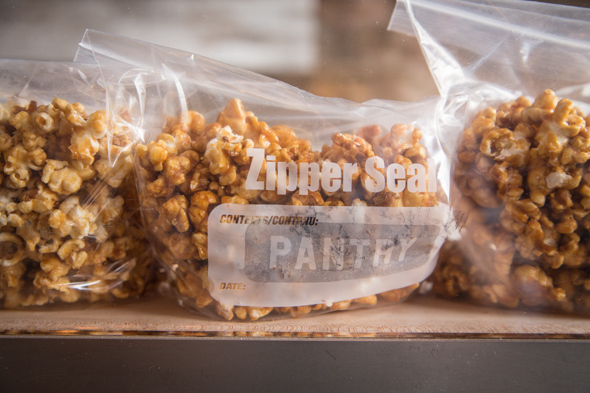 Snacks like house-made caramel corn, spicy potato chips and taro chips are sold in generous bags for $2-$3. Fresh baked goods like cookies and brownies are priced at just $1 -- no one leaves without a little something extra, myself included. The Food Dudes' Pantry is open daily for take-out from 11am to 7pm. 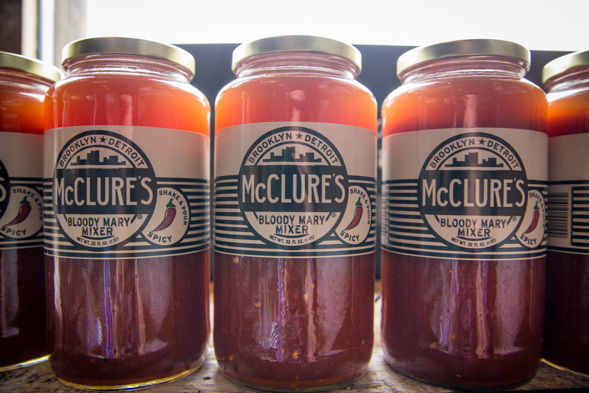 If you're not nearby, don't worry - the Food Dudes are set to expand in a big way in the very near future. 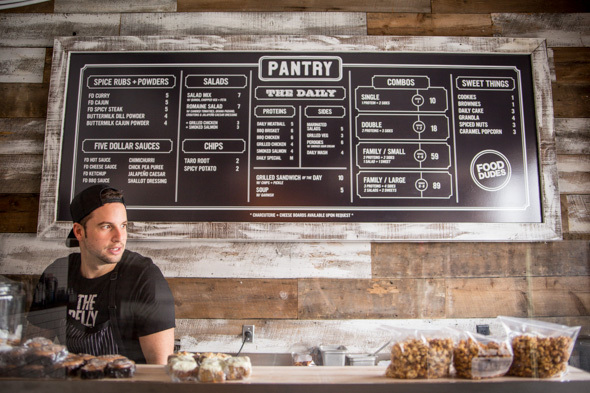 The owners aspire to roll out the Pantry concept to multiple locations in the PATH over the next few years, in addition to projects currently in progress: Rasa is opening in Harbord Village this summer, and Junk Bar will launch on Ossington in the fall.